Back in June, the European Broadcasting Union, a federation of broadcasting organisations in Europe and its surroundings, announced a new corporate identity. At the time, we only had a fairly nondescript logo and some applications. Since then it has been announced that the corporate identity was created by Studio Dumbar in the Netherlands and some new elements have been revealed, including a symbol and a new logo for EBU's television cooperation Eurovision, as well as its radio counterpart Euroradio. Yesterday, November 29, Eurovision revealed the new intro that will precede broadcasts over the Eurovision network. It will first be seen on-air before the Junior Eurovision Song Contest tomorrow. The new intro features pulsating circles that eventually form the symbol included in the Eurovision logo. According to a press release, the symbol "reflects Eurovision's modern outward look and its ability to unite audiences in a unique, international broadcast experience". The opening fanfare, taken from Marc-Antoine Charpentier's Te Deum, has been used since the 1950s and is still there. In September, the Scandinavian branch of the premium TV channel Canal+ was renamed C More. It was covered here back in June when the rebrand was announced. The new logo was developed by Ohlsonsmith, while the on-air design came from Swedish broadcast design studio Dallas. Dallas were also the agency behind the previous on-air design for Canal+ in Scandinavia, introduced in 2007. Where it was built on realistic 3D renderings on dark backgrounds, the new look is much brighter and lighter. 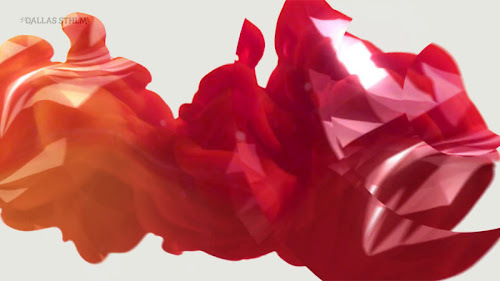 Idents feature some kind of colourful smoke or streams of water that expand. Croustipate is a French brand for different products based on ready-made dough, such as pizza kits and pastries. In late 2011, the brand received received an overhauled design, created by the French design agency Graphèmes. The redesign was based on the proposition that Croustipate "appropriates the pastry chefs expertise". Graphèmes simplified the brand expression to make it feel more exclusive. The new packaging is predominantly brown, were the old packaging featured a blue logo and several background colours. This is a quite radical change that does away with visual cues that have been established for over a decade. The logo contains some a straws of wheat and a slightly curled C that should remind us of rolled dough. The University of the Arts Helsinki (known in Finnish as Taideyliopisto) is a new arts education institution in the Finnish capital, due to begin next year when three well-respected academies are merged; the Finnish Academy of Fine Arts, the Sibelius Academy and the Theatre Academy Helsinki. Its visual identity was revealed yesterday, November 27, and created by Finnish design studio Bond. The names of the three academies that make up the new university are to be retained. They will be linked together through an X symbol and irregular three-dimensional wordmarks. My Finnish isn't great, but I've gathered that the X icon is intended to act as a starting point and a meeting place for discussions about the arts and art education. 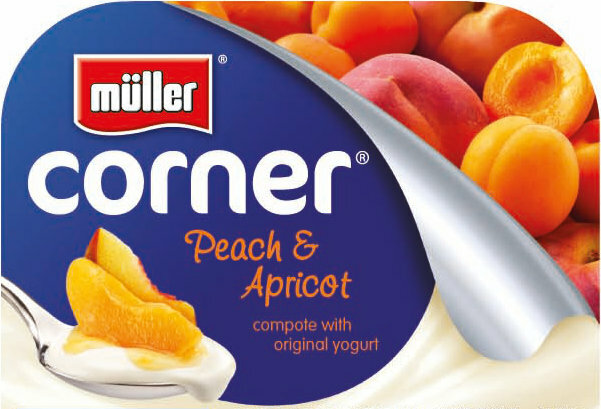 Müller Corner is a range of yoghurts sold by the German dairy company Müller on the British market. This month, the brand has received an overhauled package design, created by Coley Porter Bell. The redesign aims to "improve consumer appetite appeal and navigation at point of sale". The brand's previous packaging turned out to be short-lived. It was introduced a little bit more than a year ago and created by JKR. It was covered here at the time. Back then, the plan was to create a unified "branded segment" in the store with packaging dominated by a cool blue shade. CPB's redesign goes in the other direction, preferring to differentiate the flavours and variants with decorations and other imagery. At the same time, different blue shades are still part of the packaging. Düsseldorf is the capital and second largest city in the German state of North Rhine-Westphalia, and the seventh largest city in all of Germany. Yesterday, Düsseldorf's mayor presented the above mark that will be used to market and represent the city. Reports say it will be supplementary and that existing city logos will remain in use. The new symbol is recognised around the world as a happy emoticon, that is produced a colon and the letter D. That letter also happens to be the first letter in Düsseldorf. It was created by BBDO who were selected out of 66 agencies, five of which where allowed to put forth proposals to the mayor. Digi Sport is a set of premium sports channels available in Romania, Hungary, Slovakia, the Czech Republic and Croatia from the regional satellite company Digi. On August 1, it launched a completely new look, created by British broadcast design studio Kemistry, who had previously redesigned other channels for Digi. On-screen, the logo is constantly moving through fluid animation. Info graphics are also animated and use the same purple and blue colour scheme as the logo. The Conservative Party is governing the UK at the moment, but that mandate did certainly not come from Scotland that one sent one Conservative MP to Westminster in the last election. At a party convention held last weekend, the Scottish Conservatives introduced a new logo to replace a variation of the national party logo used until then. The new icon is a combination of the Union Jack and the saltire on Scotland's flag, referred to as the "Union Saltire". It is said to be both distinctly Scottish and to reflect pride in the United Kingdom. Naturally, it has been ridiculed by representatives of other parties. Agricola is a Romanian meat company, one of the largest producers of poultry in the country. It recently received a complete design overhaul, created by the Romanian brand consultancy BrandTailors. This was announced on September 17 this year. To differentiate the company's corporate profile and consumer brands, the company has separated the design of its corporate brand and its consumer brand. Until now, they had used the same logo for everything. The corporate symbol is inspired by the Pietroasele Treasure, a treasure of gold objects that now resides at the National Museum of Romanian History in Bucharest. It should represent the company's "pioneerdom, continuity and longevity". A real life version of the logo has been created and placed outside Agricola's headquarters. The new product logo is a lime leaf that resembles a heart with a drop of dew. It should convey freshness, an its sometimes accompanied by the slogan "Heart of Freshness". The packaging is using an image of a farm and product windows where applicable. Bulgartabac is a Bulgarian tobacco company that is behind several regionally strong brands of cigarettes. Last week it presented a new logo to celebrate its 65th anniversary. The new icon combines the silhouette of a B with a simplified version of the compass rose from the previous logo. Leto Bank (Лето Банк, meaning "Summer Bank") is a new Russian retail bank brand from the major financial group VTB. It launched in October with a name and visual identity developed by The Brand Union in London and Moscow with interior design by Start JudgeGill. The brand was designed to be warm and to attract consumers that usually do not trust banks. The final O in the name can be used on its own as a sign, and should convey cooperation between the bank and its clients. Tourism Fiji, the organisation that promotes the Pacific Ocean nation of Fiji to tourists, unveiled a new brand identity this month. It was presented on November 8 along with the new tagline "Where happiness finds you", and is said to capture the "spirit and essence of Fiji and its people". Earlier this year, Fiji's national airline also unveiled a new identity. Many would probably argue that it does a better job of making Fiji stand apart. Yaroslavl Coast (Ярославское взморье in Russian) is a government project to establish a lakeside resort by the Rybinsk Reservoir north of Moscow. Its visual identity was developed by Art. Lebedev Studio and features a symbol inspired by topographical maps and natural motifs, like tree rings and seashell patterns. The primary version of the logo comes in multiple colours; there are also colour-coded version for different divisions within the project. First launched in London in 1955, and eventually expanding into a network covering the entire country, ITV is the oldest and most watched commercial TV channel in the United Kingdom. Through the years it has been the home of countless productions that we associate with the best of British television. It was originally made up of separate companies that were broadcasting under different names to different parts of the country, most of them have now merged into a single company covering all of England and Wales. Since 2002, the local names have been phased out and replaced by the ITV1 moniker. After announcing that it would drop the numeral from the network's name to become simply ITV, a new brand identity was unveiled last week, on November 15. It was developed by an in-house team, headed by people poached from other broadcasters and agencies. The new logo is flexible one, changing colour depending on its surroundings. The version seen above is how it will look when not accompanied with imagery. The new look launches in January. ITV also has a string of spin-off channels, and the overhaul will be extended to them at the same time. Reportedly, ITV2, the entertainment channel, will be red, the drama channel ITV3 will be blue, while the male-skewing ITV4 with cult classics and sports becomes "slate grey". Many of you are probably familiar with Sodastream, the classic home carbonating system. This month it announced a major TV campaign, touting Sodastream as a sustainable solution that cuts down on wasted bottles and cans. At the same time, it introduced a new, simplified logo. Q-meieriene is a Norwegian dairy company, controlled by the Kavli Foundation. Earlier this year, probably in the spring, the company introduced a new corporate identity. This includes an updated version of their Q logo as well as fresh and modern packaging. Norwegian agency Strømme Throndsen Design have designed new milk cartons for Q-meieriene; I don't know if they were also behind the overall corporate identity. E. Leclerc is a major French hypermarket chain. It includes about 560 stores in France and a few dozen more in Italy, Poland, Portugal, Spain and Slovenia. Recently, the chain has started rolling out an updated and somewhat modernised version of its logo. It features a new typeface and an inverted version of the L-in-front-of-a-moon icon. Reports on a new logo appeared in September, and the company started using it in its marketing and on websites in late October and early November. Yesterday, November 13, Nokia unveiled the name for their digital map service that will utilise Nokia's expertise in digital mapping, as well as the technology of a recently purchase 3D mapping company called Earthmine. It will simply be called Here and be accessible across multiple devices. The new logo consists of the word here, tilted at an angle. The service's official Twitter account says "the tilted logo symbolizes the pin on a map". Stimorol and Hollywood are two European chewing gum brands owned by Mondelez, which until recently was called Kraft Foods. The two brands have had the same owner since 2002, when Stimorol was acquired by Cadbury, which in turn was bought by Kraft Foods in 2010. Hollywood Chewing Gum is a classic French chewing gum brand dating back to the 1950s, while Stimorol was originally a Danish brand that is available in Scandinavia, Benelux and Switzerland. This year, the two brands have both introduced new logos that feature a red smile, lining up with the smile logo already used by Trident in the UK. Schincariol, a major Brazilian brewery company, announced yesterday, November 12, that it would change its name to Brasil Kirin, following its acquisition by the Japanese Kirin group last year. The new name was announced at a company event with 2000 employees and is strictly a change of corporate identity, all consumer brands remain unchanged. The new logo combines Kirin's wordmark with the word "Brasil" in the same typeface and an icon of colourful shapes that can also be used as patterns. The new logos for Wendy's, Univision and AIG stand among the October rebrands. But there were plenty of other notable new logos launched last month around the world. If you feel there's something significant missing, feel free to post a comment about it below. Kasztelan is a Polish pilsner brand that has been brewed since way back in the early 1970s. Today, it is a part of the Carlsberg Group. Polish design agency Studio DN Design Group have been responsible for the brand packaging and labels since 2006. In that time, the design has received slight incremental updates. Another such update was revealed recently and can be seen above. The aim of these redesigns have been to transform Kasztelan from a regional brand into a national one. Layf, spelled in Russian as Лайф, a cyrillisation of the English word "Life", is a Russian financial holding company that owns eight Russian banks and several other financial assets. In October, it unveiled a new corporate identity, created by Russian agency AIC. The new logo features an organic and fluid icon made up of circles in different colours. I should reminds us both of cell division and fingerprints. The typeface used is Ebikastuz. Diamond Bank is an international bank based in Nigeria. On Wednesday, November 7, it unveiled a new corporate identity along with plans to open more offices. It is now marketed as "Diamond – Your Bank". The new logo is essentially a refresh of the old one, the icon is mostly kept intact, but grey tones have been replaced by more optimistic colours. Senterpartiet, or the Centre Party, is a Norwegian political party that developed from the agrarian movement and today holds centrists views. It one of three parties in the social democratic coalition that rules Norway at the moment. This week, on November 6, Senterpartiet unveiled a new logo, created by Oslo agency Design Container. The party symbol has long been a four leaf clover, and the new look is an evolution of that symbol. In the new logo, the clover has been redesigned to make its four petals resemble interlocking hearts. Green is the party's signature colour and is still dominant. A new graphical element made up of short lines has been created and is used in many applications. Galavisión is one of the most watched Spanish language cable TV networks in the United States, having been on the air since the late 70s. Over the weekend, on November 4, it unveiled a "contemporary" new logo, just a few weeks after its corporate parent unveiled another new logo. The new logo is a stylzed G and was designed by PMcD Design in New York. It is frequently accompanied by the tagline "a Univision Network" (or its Spanish equivalent), linking it more strongly to its parent company. FastJet is a new airline that provides low cost flights across Africa, due to commence flights from Dar es Salaam, Tanzania, later this month. Its activities are based on an existing airline called Fly540, a brand that is expected to be replaced by FastJet over time. Yesterday, November 5, FastJet launched its first proper corporate identity programme, created by London-based SomeOne, who also developed advertising in cooperation with AccessLeoBurnett in Nairobi. Most noticeably, the airline has been given a mascot and spokesperson in the form of an African Grey Parrot. He is present wherever possible, from the tailfin on the plane livery to boarding passes, as well as bags of nuts. Naturally, grey is one of the primary colours, in addition to yellow and orange. Nova is Spanish TV channel that features programmes primarily targeting women. Launched in 2005 with the first batch of new digital channels, it has had strong growth and is now often one of the country's ten most watched national TV channels. Yesterday, November 5, it launched a new look with a fresh pink logo to replace the one they had used since launch. 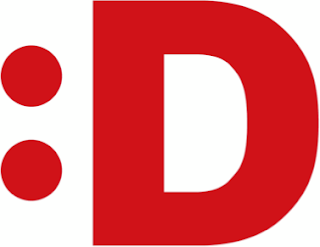 In break bumpers the new logo appears in 3D form in a sterile environment where the A in the logo opens up to allow different form of computer animation magic to pour out of it. Royal Brunei Airlines is the flag carrier of the sultanate of Brunei, a small nation at the edge of Borneo. This week, on October 30, it unveiled a new logo and livery at the Brunei International Airport. The previous logo dated back to the mid-80s and had been virtually unchanged for two decades and a half. It was an abstraction Brunei's flag as a tailfin, and the use of national symbols continues with its successor. The new livery is however more restrained and elegant, "classic styled" as the airline itself puts it. The outdated Bookman Light Italic is replaced by a lighter sans serif. The tailfins are now all yellow and feature a new RB monogram. Watson Pharmaceuticals, an American maker of generic pharmaceuticals, recently bought its European competitor Actavis. The deal that was finished at the end of October, creating the world's third largest generic pharmaceutical company. The new company takes the name of the latter, and a new corporate identity was unveiled on October 31. The new corporate identity was developed by Lippincott. The new logo combines a W from the old name with an A from the new company. A press release says is "speaks to the Company's fast-evolving business, as well as its dynamic culture". One stated reason for shedding the Watson name was that the company can't register it globally, as it is a common surname.